It comes as no surprise that Brand Key has been a Crosby/Textor project from Day 1. The hit and run, the bait and switch, the cake and eat it, the shoot the messenger, the misdirection, the dog-whistle, wedge politics, the outright lie – these are all elements of the classic Crosby Textor strategy that have been used by Brand Key, and they show a contempt for Kiwis. The entire premise of Crosby/Textor political marketing is that voters are easily manipulated, greedy fools. It is about making democracy dumber – spreading ‘feelings’ (that Key’s nice, Clark is tired and arrogant, it’s time for a change) rather than making an honest argument that National has the best policies for New Zealand and hoping an informed citizenry will choose National because its policies are best. It’s not about proving themselves deserving of governing it’s about finding voters’ weakness and exploiting them – pushing your buttons so you’ll tick their box. It’s disrespectful to the media too. Crosby/Textor sees the media simply as a vehicle for disseminating its lines; there is no respect for critical journalism as a crucial part of a functioning democracy. They’re played for chumps and expected to buy into the ‘time for a change’ meme themselves. Any journos that breaks the rules by reporting Key when he goes off message or seriously challenging National on their competence to govern is shouted down, threatened, ostracised, and discredited. 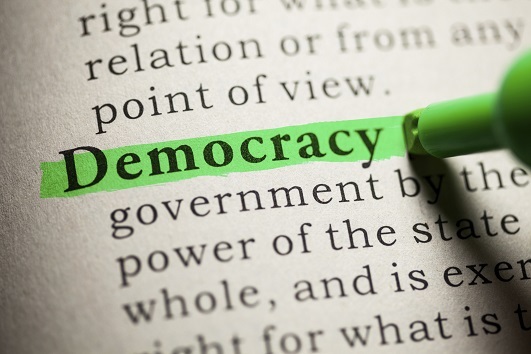 National’s supporters are arguing we should just accept the dumbing down of democracy, so that parties rule not by the informed consent of their citizens but because they could fool enough of the people enough of the time. No thanks. It works though, witness TV1’s coverage last night, according to Guyon the Boy Wonder the main issue raised by Hager’s story is National’s internal security rather than blatantly misleading the public (again). Goodness – another post about John Key and Crosby/Textor – you guys must really be onto something! Just a question – would Crosby/Textor recommend something like this? Is there anything new in your blog today SP. You have basically rehashed your message from yesterday and the day before. The entire premise of Crosby/Texter political marketing is that voters are easily manipulated, greedy fools. But according to the polls it’s working. Maybe people just need a collective kick in the arse every few election cycles. You bleat daily about the lack of Policy yet you attack the man every day. Razorlight: Sorry, that makes no sense. You complain the Standard is attacking Key. What else is there to do? There’s no policy to attack..
Steve: maybe it’s time to do a piece on the rest of Nationals front bench? I think the only thing that is obvious is that there is no real dirt available on either Key or Clark but despite this there will be all kinds of vile suggestions through till election day. The government could put everyone out of their misery by announcing an early election and getting it over and done with. VE What else could The Standard do – sell Labour instead of demonising National. HS: Yes, I’d like to see some more of that too. RL: No policy to attack =! nothing to attack. If Key was allowed to release some policy (I’m sure he’s not) then I imagine the Standard would attack it immediately. Given that he hasn’t, and since it is election year, what are they meant to do? As HS said, they could espouse some Labour party policy (Personally, I’d just like to see any left-wing initiative, they don’t have to be Labours) and work the positive angle for a bit. But don’t expect Key to get a free ride because National won’t release policy – that’s exactly what he’s hoping for. I don’t expect Key to get a free ride. Even though I am complaining about the constant attack tactics of attempting to make Key look like someone you shouldn’t trust, I personally think the tactic is counterproductive. SP specialises in attempting to make Key look slippery however every attack seems to send Key’s support North not South. The left is so obsessed with this man they are failing to recognise it is the Labour policies they should be looking at. I’m a bit bored of the attacks on Key too, to be honest. I’d like to see some more positive postings, but if the man puts his foot in it then he deserves to be pulled up. And I guess the Standard would like to compare policies between the major parties, but there’s no point in scouring your own and putting them up for scrutiny if the opposition is just going to thumb their nose at you. I think policy is the most important reason to vote for a party – the amount of people I meet that are like “my parents always voted Labour/National/Social Credit, and so will I” is a bit sickening – but it’s hard to have a serious discussion about policies to try and change peoples thinking if there aren’t any policies to discuss. From a left-leaning point of view, the longer JK holds off on releasing policy, the worse he looks. I’m not sure how the electorate sees it as I’m probably more politically aware than most. Anyone else going to catch Russell Normans maiden speech this afternoon? 5.30 pm in the house, or channel 94 if you have Telstra/Sky Digital. Even now, I suspect that this latest approach may dominate yet another week of discussion here at The Standard. If it it such outrageous news that Key has hired a couple of shysters to do his campaign plan for him, then okey-dokey. Imagine the outrage if they found out that say Owen Glenn who has links to the Chinese Weapons market, and had oodles to gain from the FTA for his oil tankers’ access into China, gave Labour half a million bucks not so long ago. Now, some may say ‘Oh, that’s just trolling’, but it isn’t I’m simply pointing out that politics is a dirty game, and if yo think for a minute that Labour don;t get involved in covert secretive stich-ups, then you probably believe in the Tooth-Fairy as well. I’m not suggesting two wrongs make a right. I’m suggesting that if yo care about politics, you should be willing to cast the spotlight on corruption wherever it occurs… Now, who’s with me? Fair call RL, the infatuation with Key just comes across as desperate – which I’m sure the Labour party is – but surely they’d be better off pushing the benefits of their own policies rather then petty bitching. John Key is on nat radio discussing sports policy. trying to inoculate CT ? Unbelieveable. As if we needed any more evidence of the state of the media. In the same week as the outrageous PM FORCES DISABLED MAN TO WALK headline, John Key gets caught in a blatant public lie – and is ignored. Nothing to see here – onto bureaucrat bashing, SPARC’s turn today. andy: “John Key is on nat radio discussing sports policy. Give the media something else to talk about, and they’ll talk about it. Incidentally, Key’s policy angle on this SPARC business is very smart – it criticises bureaucracy in sport, which brings in everyone’s native distrust of coaches and managers; and instead puts a whole lot of money into local decentralised sports clubs and groups, and into schools – ordinary folks which everyone knows and trusts. While Clayton Cosgrove called these a `black hole’, Key is saying he has confidence in these battlers down at the local to do right by their communities. I don’t know which is the best idea – I’m always cagey of the idea that enthusiastic volunteers can do better than trained professionals – but Key’s line includes more people with more votes, and if if creates a swing of 10 or 20% toward National amongst the mostly working and middle-class people who make up the bulk of teachers and sports club members, it’ll be a winner. as a sports club member on the executive, I can tell you it will change bugger all, the hoops that we will need to jump through to get funding will just be different. Govt have to be very careful that funding goes to appropriate groups i.e not gang related sports groups etc. I think most sports groups are weary of govt initiatives, we budget on membership subs and all other monies is icing on the cake. He also was conflating obesity/yoof gang Problems to lack of participation in sports..
twas policy though so interesting none the less. 1/ Given you personally have acknowledged the importance of price in youth decision making, and that the National party is committed to privatising ACC, what impact do you think sports clubs passing on to children hiked up private insurance fees before they can play sport have on the obesity epidemic? Or is this just a hit-and-run bashing of SPARC designed to feed public suspicions rather than an actual policy? 2/ Do you plan to gut SPARC of its staff? and if so, does this indicate National’s wider plans for the civil service? 3/ National is bitterly opposed to the Public Health Bill, with everyone from Gerry Brownlee to David Farrar (both of whom could do with paying attention to it’s aims, but that is by the by) calling it the ultimate “nanny state bill.” How do you square your concern with child obesity with your apparent desire to keep unfettered access for McDonalds and KFC to children? Or is this another example of using Crosby/Textor talking points whilst being utterly disconcerned about our childrens health? andy: Fair enough. I suppose some spokesperson or other will get their oar in on this sometime today. Quite true re: blending the sport and obesity messages. Robyn Toomath was fairly scathing of that. Do you really think this is just a National Party (or even right wing) phenomenon? I suspect the media aren’t giving this the traction you think it warrants, not because of some bias or CT manipulation, but because they feel it is “just another day, just another spin-job”. Or, to use one of your more risable metaphors; This is a hit and run, just like all the other hit and runs. It doesn’t matter if you’re in a CT Mercedes or a Labour Party Lada – you still get the same result. political marketing is that voters are easily manipulated, greedy fools. Phil, it’s in both major papers and was on tv1 last night. It was on Nat Rad the last two mornings, Espinser’s covered it in his blog and probably will have an op piece on it. So it is gaining traction. Sure the coverage is mainly not on substance but rather on who’s doing the leaking but it’s out there. Key is refusing to comment, a bad look that will arouse curiosity, and English has had to front to try to dispel the obvious conclusion that he is the leaker. Remember, senior Nats think this info is damaging enough that they’ve breached party loyalty to leak on it, and Key thinks it’s damaging enough that he won’t answer questions about it. I’m content that this story is beginning to gear up to the coverage is deserves (I notice the Herald only ran the NZPA piece, as little coverage as they can get away with), and I don’t see The Standard ceasing to cover it just because the righties are telling us to. In fact, a more cynical person might argue that the righties don’t have the best interest of the Left at heart when they suggest courses of action. Lew, so another policy that might look and sound good, but will in fact be more likely to be useless, or worse than useless. Not to mention that Key’s speech seemed to be riddled with lies and distortions (I.e that ‘administration was $35m’, when this figure includes programmes such as Push Play, that are acknowledged as being useful). These incidents really build my faith in the media, especially when fairfax is firing 40 or so staff – that will help matters immesurably…. In defense of SP, this isn’t about an obsession with John Key, its pointing out that the man is shallow and has no substance. Voters deserve to be told the truth, not some premeditated garbage that tugs at the heart strings and creates fear. As a voter and a kiwi its insulting to think that Im going to be swayed by a greasy smile and targeted words like “tax cuts” and “working kiwis”, and that based off that they (National) deserve to govern New Zealand. You’ve got to earn the right to lead this country. MP: Yes, the figures were wrong – Peter Miskimmin cited a 17% spend on administration. I know a few people at SPARC who will be fuming about this. I’m not in possession of enough information to know whether the move from SPARC to local groups will work; but if Miskimmin is right and Key is wrong about the proportion of money spent on admin which can be cut, the shift in emphasis will be much less than advertised. In a sense, this is the same story as the rest of the `cut the waste’ discourse Key is pushing; it sounds nice, but the actual figures are in some doubt. Lew: So once again, something that sounds great to the NZ public is deconstructed in a matter of minutes on a blog. Yet the media run with it. Seems a very cynical and depressing exercise. Key was asked on Radio Live yesterday arvo wether CT were used by National. Where the lies? and I love the bit about listening to the public. MB/LeeC – You’re going to have to do better than a making up examples of Labour’s evilness in order to inoculate this issue. The fact is that National haven’t released much in the way of policy, so for Labour to focus on their own policy is giving National something to criticise, whilst National offers up nothing but platitudes and criticism. National have made their campaign about “branding”/emotive associations, and Labour has been forced to play that game. The only problem is that Labour is the old brand that have collected 9 years worth of negative “government” association, and National is the sparkly new brand with a multi-million dollar marketing campaign behind it. It doesn’t matter that the public don’t know what the brand tastes like, or what its ingredients are, punters like LeeC/monkey boy are going to lap it up. They trick for Labour is to get the public to see through National’s cynical manipulative tactics. It has to make some negative associations stick to brand Key, but that’s difficult when there’s literally nothing there. Who said there are lies in a radio live interview you listened to? What kind of a question is that?? I love the bit about listening to the public as well – it’s amazingly cynical seeing as he’s running a campaign that’s doing everything possible to stop the public thinking, or question his policies. Mike – yes or no – could the public better inform John key if he was to release concrete policy? If yes, then yes or no – is it honest to say he is well informed by the public if he’s deliberately preventing them from doing so effectively? It may comes as a surprise HS, but not all of us vote Labour or want to be Labour cheerleaders. As for the media picking up on it…. interesting interview with an ABC political analyst who basically said the left has a strategy of demonising everything CT does mainly because of its close associations with the Liberals. They even accuse them of things they don’t do, or hype up perfectly normal political activity into something sinister. Sound familiar? insider: I’m sure people are shocked, just shocked, that both sides of a two-side battle are interested in making the other side look as bad as possible. Antony Green takes the line that C/T do the same thing as everyone else, they just do it better, and for the right, which is fair enough. He cautions that C/T’s tactics are only one factor in an electoral win, and he’s right. The only objection he raises is that Aussie Labor have been quick to cry push-polling for things which aren’t actually push-polling (not that they don’t do push-polling), and that some of the tactics employed natively by other parties (that is, without being seeded by a PR firm) are just as bad. Hardly the leftist conspiract against C/T and the right that you imply. He said more than that. He clearly said the Labour attacks on CT here, in the UK and AUs are not becuase of CT’s actions – he says WInston Peters uses far worse on immigration for example – but primarly because they are aligned with right/conservative parties.